If you haven’t heard of Ayurveda yet, then you’ve probably been living under a rock! Just jokes, but honestly, it’s more than trending. Remember how a few years ago, Traditional Chinese Medicine was hot as fire and everyone started seeing an Acupuncturist? Well, that’s sort of what’s happening with Ayurveda; a traditional Indian form of natural medicine. In Sanskrit, Ayur means life and Veda means science or knowledge. This 5,000+ year old, system of holistic medicine practices aims to balance the mind, body, spirit, and environment. The medicinal practices function to harmonize bodily systems using herbal treatment, diet, and yogic breath. For decades the beauty industry has been excluding ingredients that bring healing into products, and worse, using harmful substances. 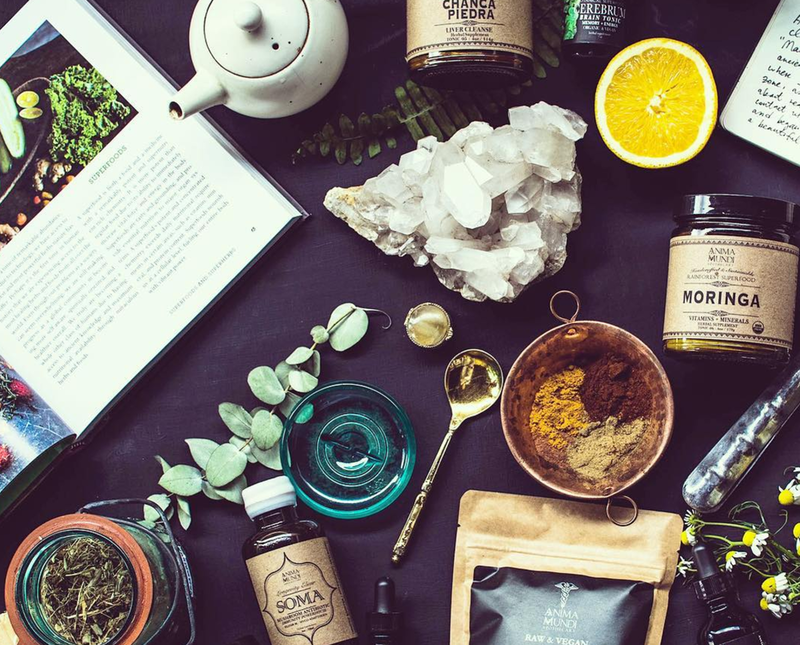 The current trend of health and wellness is changing that, making Ayurveda and the beauty industry a match made in heaven. Ayurveda consists of three doshas; energies believed to circulate in the body and govern physiological activity: Vata, Pitta, and Kapha. Learn your dosha here. Knowing which dosha you are dominant in is beneficial to deciding which ayurvedic products are right for you. The beauty in Ayurveda products is that it is an organic chemistry based off of your basic nature and physical traits. And it comes directly from the source that is constantly adapting and healing itself -- nature. 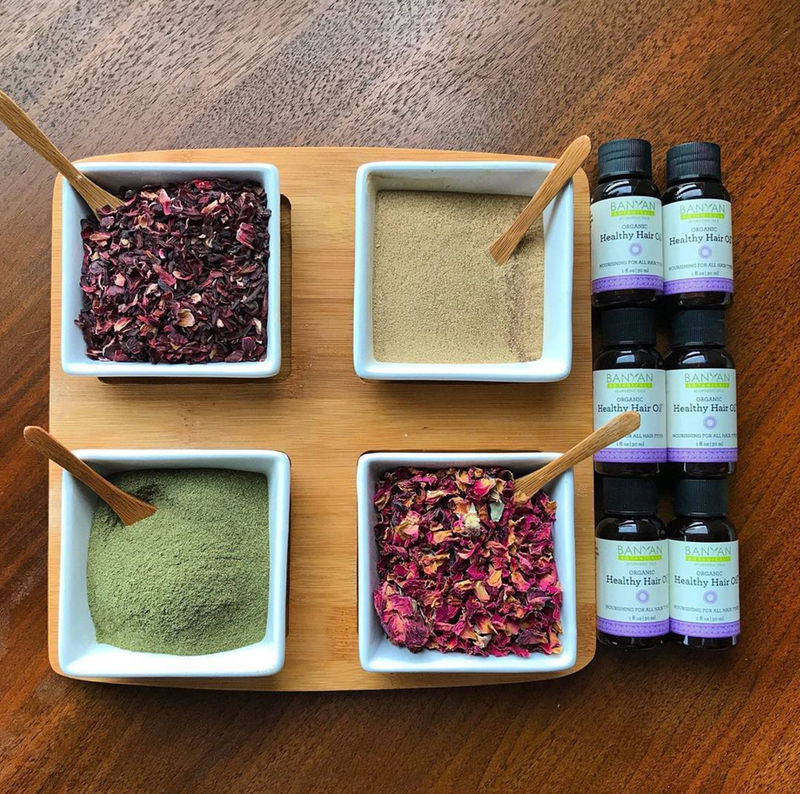 Costa Rica-based Anima Mundi Herbals was founded by Adriana Ayales, who prides herself on creating a genuine apothecary brand with tinctures and herbal remedies for various ailments and overall wellness. Anima Mundi is also very careful about sustainable harvesting and rainforest preservation. 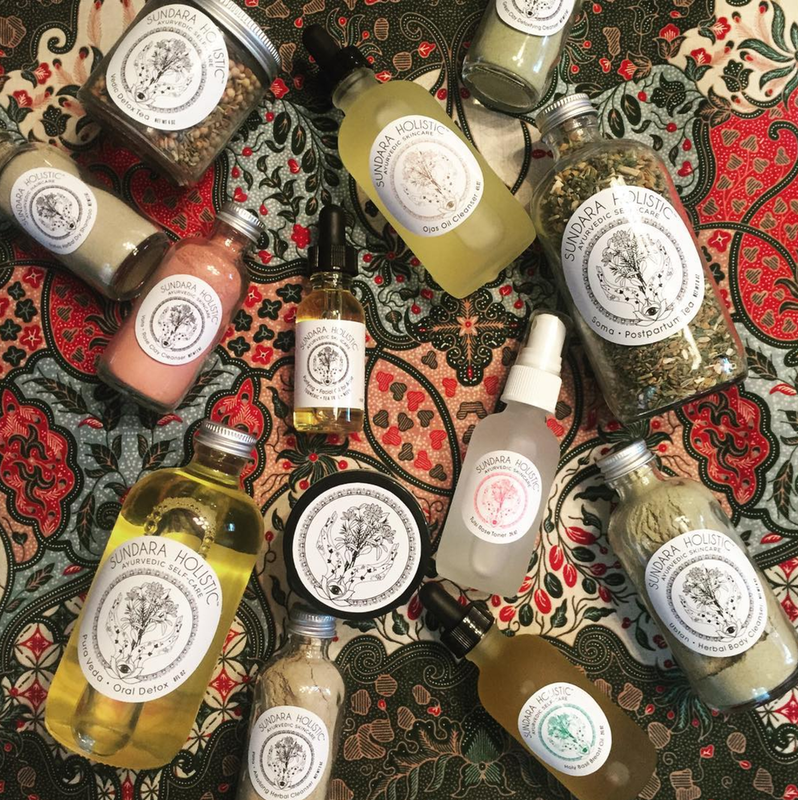 They have a line of body care products and a collection of elixirs and other adaptogenic potions for beauty. Curam, a mega Vitamin C Elixir for anti-aging is a favorite along with their plant-based Collagen and Beauty/Anti-Aging Kit; a compilation of herbs known to support skin detoxification, health, radiance, glow and overall anti-aging goodness. 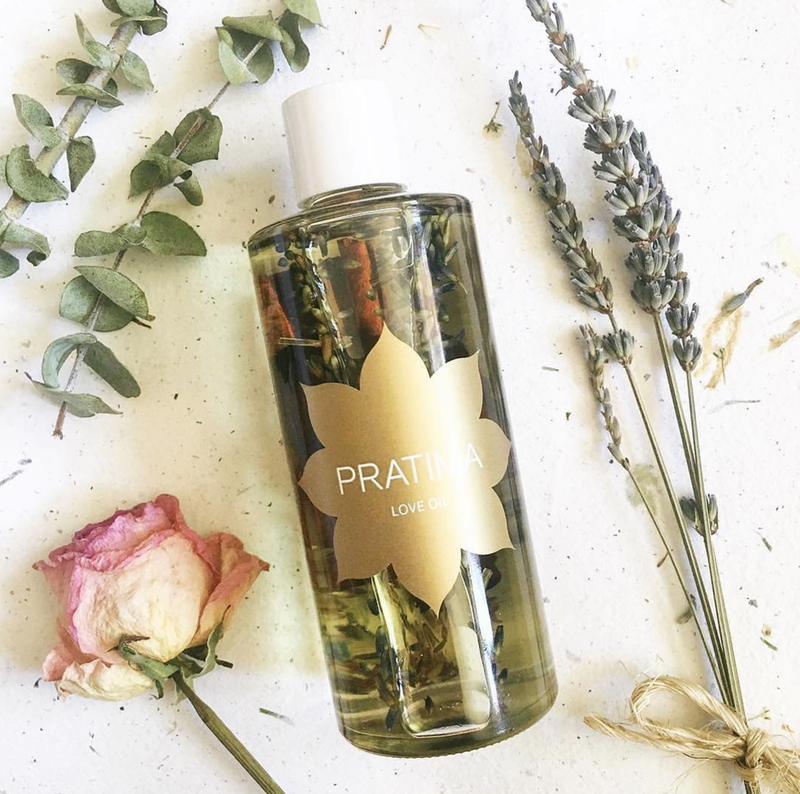 Ayurvedic doctor, aesthetician, botanist, and chemist, Pratima Raichur, is the brains (and wisdom) behind this organic skin care line. The best sellers include the Pitta Herbal Cleanser and Healing Neem Oil. Pratima’s cleanser is made from pure Ayurvedic ingredients that exfoliate and rejuvenate sensitive skin. The Healing Neem Oil, for all skin types, is the perfect product to put in the medicine cabinet. It is the ultimate remedy to heal skin issues like acne, sunscreen, fungus, cold sores, burns, scrapes, and more. Launched back in 2011, Blue Beautifly uses ancient sciences to create holistic healing. Founders Vida & Saied, wanted to cover all the bases ensuring their products were made with botanical, non-GMO, fair trade, and cruelty-free ingredients. Their line of products is diverse from mud masks to deodorant. The most popular is the Antioxidant Serum. With over 20 Ayurvedic herbs this rejuvenating serum is perfect for obtaining and maintaining supple, radiant skin. Other popular products are the Balancing Cleanser, a purifying must-have filled with plant-based ingredients to hydrate and refresh the skin, and the Balancing Serum, also filled with plant-based ingredients that detoxify and tighten the pores for an even, refreshed skin tone. The extensive amount of herb and plant-based ingredients make Blue Beautifly an obvious place to start a healing journey of nourishment and rejuvenation for the body. The founder, Sonia Lloyd, created the line integrating her passion of traditional Chinese and ayurvedic diet and her personal need for a healthier skin remedy. After reading an article on Yoga Journal, “If you can’t eat it don’t put it on your face,” and stumbling upon a book entitled Absolute Beauty, written by Pratima Raichur (see above) with Marion Cohen, Lloyd claims that it completely unlocked the secrets to ayurvedic skin care for her. Take her skin test here and read the pdf where she explains the doshas and lists the starter kit for each skin type. The Rasa Skin Balm is a handmade nourishing “elixir” for dehydrated, dry skin. The plant-based, tridoshic Body Cleanser is a three-in-one product used for hand wash, body wash, and an aromatic bubble bath. They even sell a Copper Tongue Scraper, great for Kapha dosha physiology. Read why tongue scraping is an important practice of Ayurveda here. Raised in India, founder Shrankhla Holecek was immersed in the knowledge and cultural tradition of Ayurveda and holistic medicine. However, when she moved to Beverly Hills for business school, she found herself surrounded by misappropriations of the Indian rituals and Ayurvedic practices she had grown up with. Frustrated, she decided it was time to create a line of products with integrity; UMA Oils. Their best-sellers are their Ultimate Brightening Face Oil, Absolute Anti-Aging Face Oil, Pure Calm Wellness Oil, and their Award Winning Body Oil. Ajara is an ayurvedic skin care line founded in 2002 by massage therapist and Ayurvedic practitioner, Nicole Hinterstocker. Rosacea + Sensitive Skin Facial Set is a best seller containing a cleanser, cleansing cream, repair cream, and soothing oil. The regimen is ideal for super sensitive skin types, combining edible organic ingredients to feed your skin. Calm your eyes with their Tulsi Mint Tonifying Eye Gel for Puffy Eyes. Want to learn more about Ayurvedic therapies? Take a look at Ajara Training Protocols here. Angela Shore, self-proclaimed “Soul-Searcher Rolling Stone,” is the woman behind Jiva Apoha. The beauty line is an integration of shamanic and Ayurvedic healing practices. The Personalized Body Oil is created after filling out a questionnaire to customize the oil based on your answers. The Holy Grass Body Oil is a magical blend of ingredients; organic hemp seed, sesame oils, and pure essential oils of sweet grass and rosewood. The oil is said to elevate the mood and clear daily blockages. A portion of the proceeds goes to various charity organizations so you can feel two times as good with your purchase. Jiva Apoha has made a name for itself featured in publications from Vogue to New York Magazine. Oh, and their oils smell divine! Sahajan started with a question of why the creator, Lisa Mattam, would put something on her skin she didn’t want on her child’s. Good question. Mattam’s roots in Southern India made her well acquainted with soothing skin troubles from local ingredients. She worked with leading Ayurveda doctors from her hometown in Kerala, India to solve modern skin issues with traditional remedies. The skin care line offers a Discovery Kit, perfect for traveling or sampling their entire line. The creator, Shadoh, spent her summers in Kerala, India where she grew an appreciation for nature. Her parents were the first to teach her about nature’s healing powers. The most popular product is the Face Oil, recommended for all skin types. The Ayurvedic herbs Tulsi and Brahmi boost collagen production and give the skin a hydrated and renewed feeling. Take the healing into a warm bath with their Shanti Bath Salt, made with calming ingredients; Himalayan salt, jasmine, and vetiver. Get a deeper look into Shadoh’s reflections on inner, outer, and lasting beauty here. 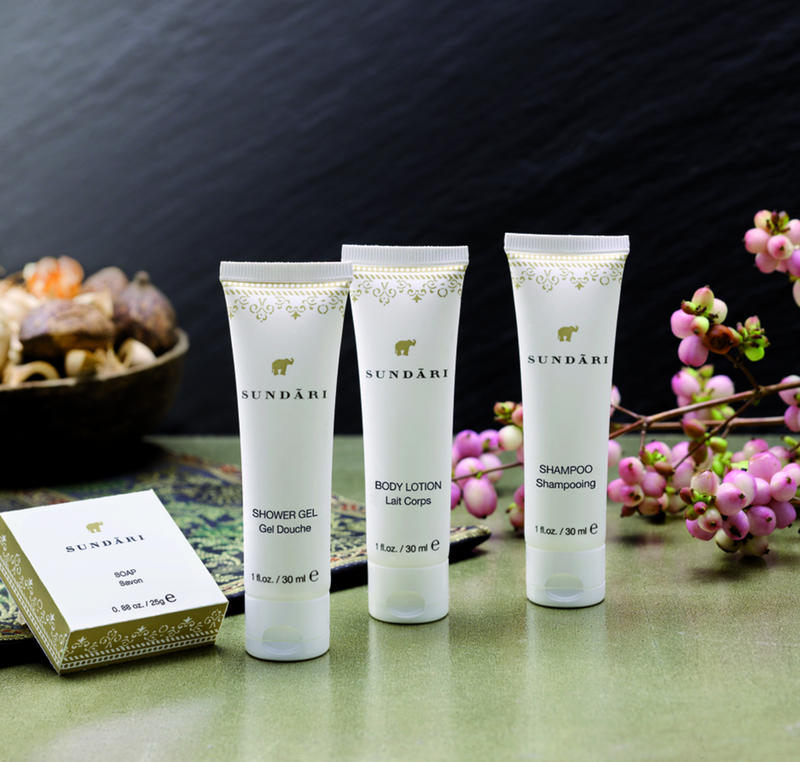 Sundara Holistic handmake their products while chanting ancient Vedic mantras and using Reiki energy. Kiera Nachman is a practitioner of Ayurveda medicine and Reiki with a private practice based in NYC. The healing comes full circle. Their line provides more than products with offerings in Healing Services from skin care to nutrition consultations. They carry specialty skin care products for those with Muscle and Joint Pain and Eczema Body Oil. Smoothly transition into the Fall season using the blog's Ayurvedic Diet and Lifestyle Tips. Shilpi Jain, the creator was heavily involved in pharmaceutical firms and eventually became a cosmetic formulations scientist. Just look at these before and after photos for evidence of the healing ayurvedic products can provide. Their product of the month is SkinVeda's Calendula Horsechestnut Firming & Moisturizing Creme, apply morning and evening to brighten the skin complexion. Founder and renowned Yogi, Maharishi Mahesh, created VPK “to help you achieve a state of balance resulting in naturally resilient and good health.” He developed the Transcendental Meditation technique; the practice of sitting and repeating a mantra for 20 minutes twice a day. From herbal supplements to tea, VPK brings ayurvedic healing into many aspects of daily life. VPK’s Youthful Skin Line focuses on, you guessed it, anti-aging and replenishing the skin. Try their Herbal Tablets to heal skin from the inside out. Shankara gives 100% of its net profits to global humanitarian work. The founders opened the Blue Heaven Resort and Spa to provide health and beauty treatments for a complete Ayurvedic experience. Purify the skin with the Deep Pore Cleansing Mask followed by the Balance Oxygenating Mask to really stimulate skin circulation. After a stressful work week, release the tension with their De-Stressing Body Wash that doubles as shaving cream! Who doesn’t love a good two-in-one? Poonam Bhatia is the force behind MaaDisha with a mission to empower the Western world with the science of Ayurveda. The Oil6 is the first product still handmade by Bhatia for the scalp and hair. Regenerate your scalp and strengthen hair follicles with the product’s blend of vitamins, iron, antioxidants, and proteins. Veteran skin care line, Banyan Botanicals was founded in 1996 before Ayurveda was "cool." Co-founder, Scott Cote, studied at the Ayurvedic Institute under Doctor Vasant Lad. The skin care line was started in co-founder Kevin Casey’s house with nine formulas. Now, the brand has expanded to over forty products. In 2015, Yoga Journal awarded them with a Natural Beauty Award for their Beauty Balm. It can be used on almost every area of the skin, more like a ten-in-one, and is especially good for supporting breast health. Sundari was founded by an all female trio, Ayla Hussain, Cavan Mahony, and mega-famous supermodel Christy Turlington, on a mission to fulfill the modern woman’s needs and wants. The brand fuses modern science with ancient techniques to create products like their Gotu Kola and Indian Asparagus Mask. The mask is said to produce visible results in just two weeks. Ayurvedic herbs, Gotu kola lifts the skin and Indian asparagus (Shatavari) promotes overall health vitality. Shatavari translates to “she who possesses 1000 husbands.” Ooh la la! Miranda Aponte studied strategic design management at Parsons in New York. She fell in love with travel after studying abroad. Miranda's personal mission is to creatively exercise her passion for connecting with others and our immediate surroundings through design and travel. Follow her on Instagram and Facebook.